My post today is 2 days late because of dealing with the sick kiddo all last week. I apologize profusely. 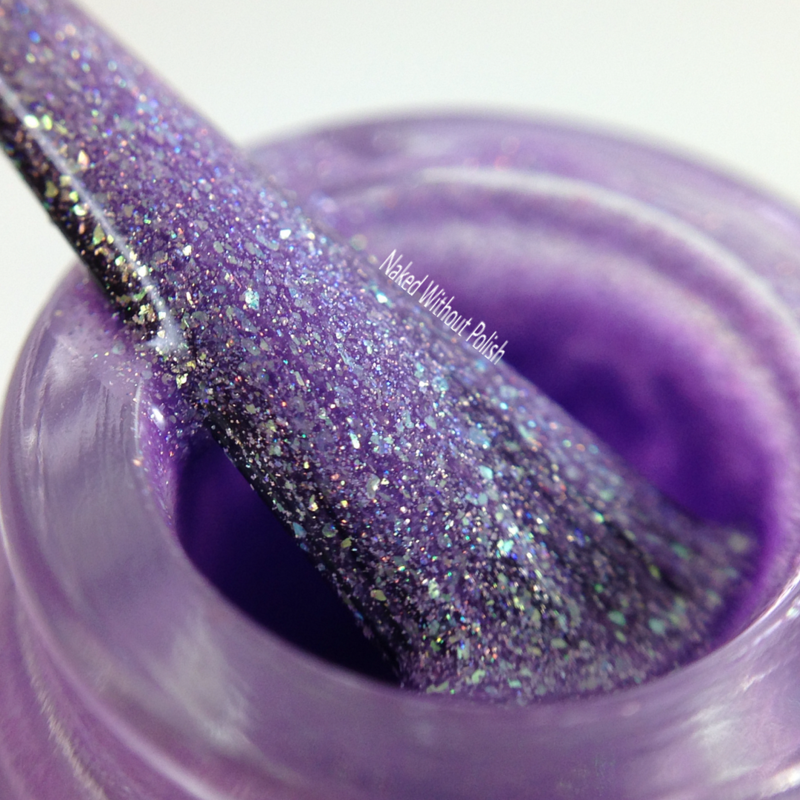 But instead of showing you what you can soon get, I'll show you what you missed out on from Blue-Eyed Girl Lacquer, and let you know exactly why you should be a part of the Hella Holo Customs Facebook group. I will give you details on how to become a member of the group, if you're not already, at the end of the post. Please pay attention to those details. You can't just request to join the group. They take precautions to ensure that there are no fake accounts joining and spamming the group. For now, let's jump to the good stuff...swatches!! 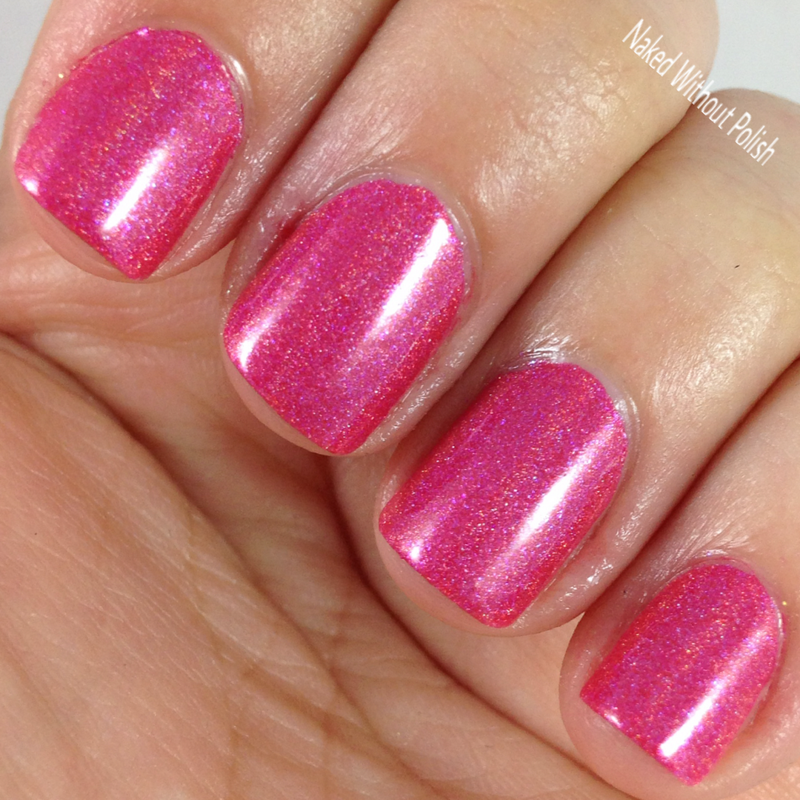 Holo-Melon is described as "a watermelon coral linear holo with pink to purple to blue shifting glass flecks". Shown is two coats of Holo-Melon with top coat. Holo-Melon could easily be a one coater. I did two coats for a bit of depth and extra sparkle. 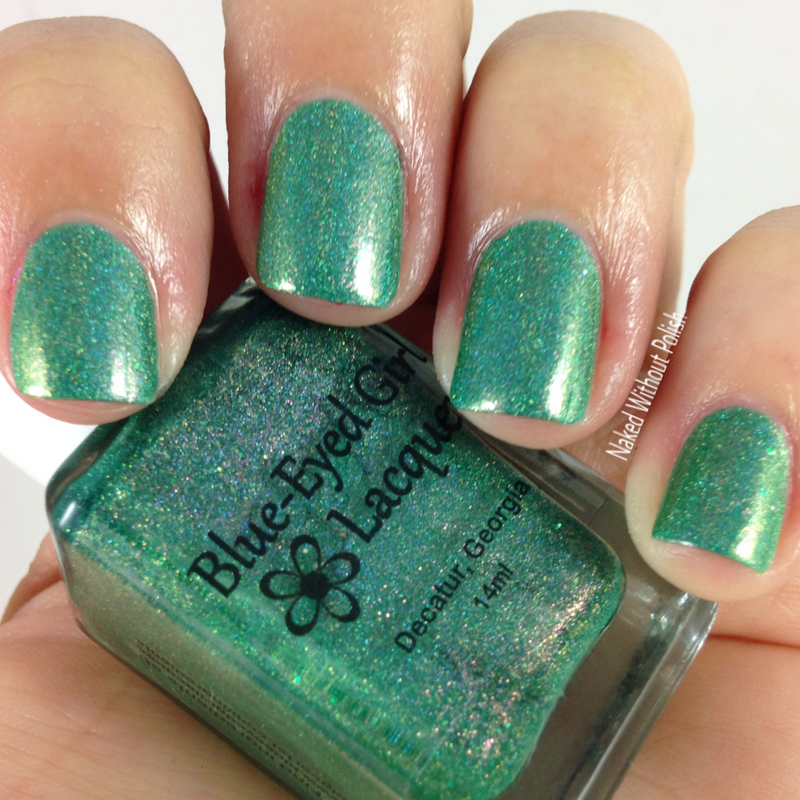 A gorgeous and vibrant polish with a smooth application. 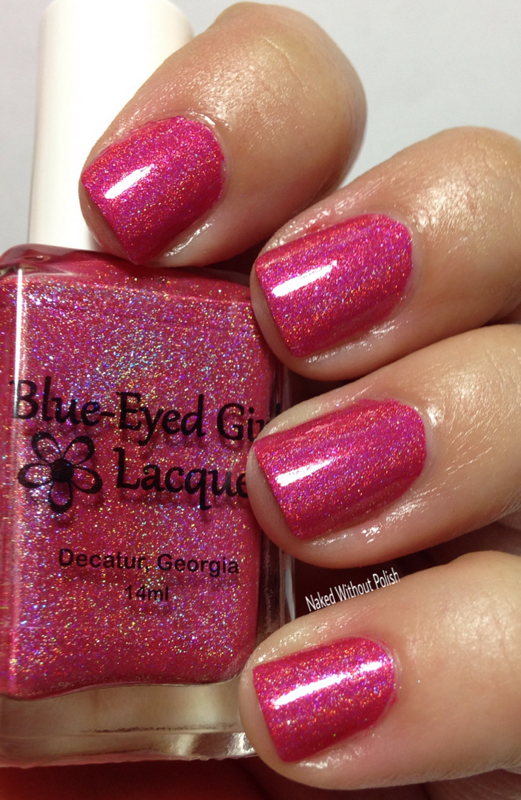 Anyone who is a fan of pinks and corals needs this polish. Atalanta is described as "a periwinkle leaning purple linear holo packed with gold to green to blue shifting glass flecks". Shown is two coats of Atalanta with top coat. Atalanta is another that could easily be a one coater. Atalanta is full of so many surprises. It stays the beautiful shade of purple, but with those glass flecks a different color flashes with every move you make. 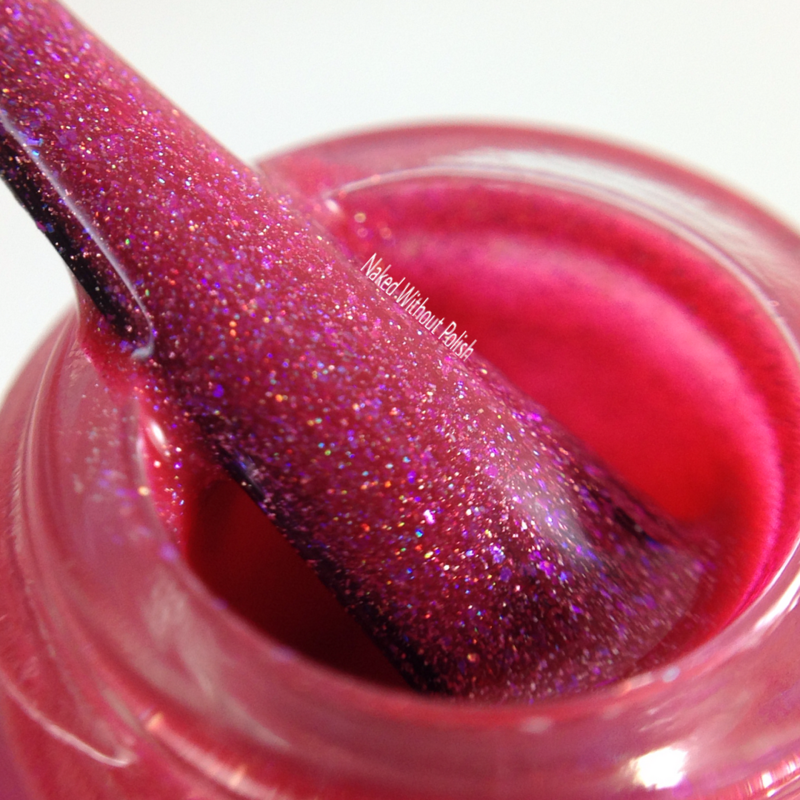 Smooth application and so opaque. The color is intense. 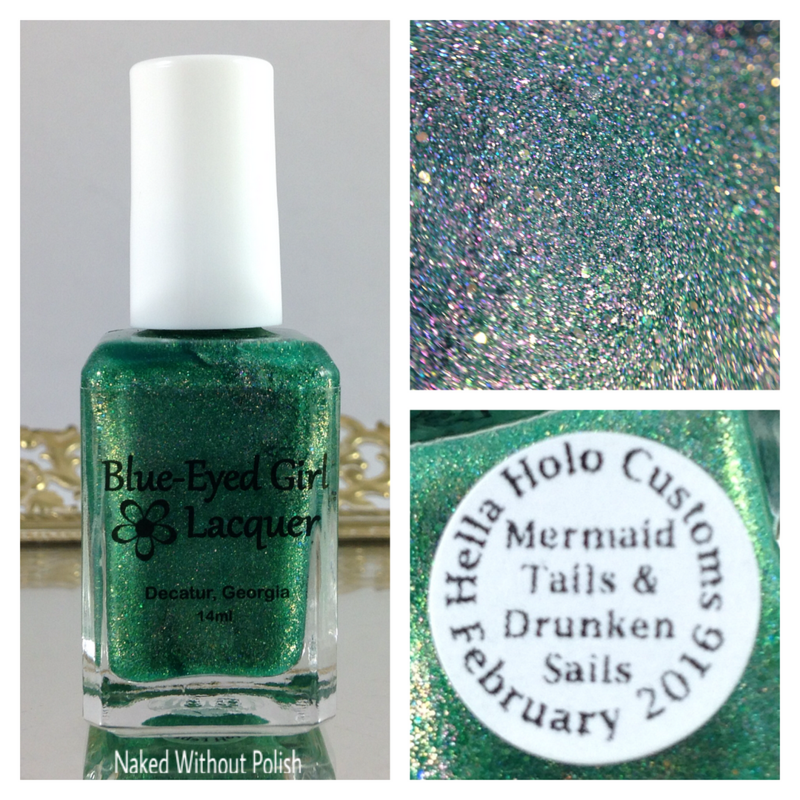 Mermaid Tails & Drunken Sails is described as "a medium green linear holo with lime to gold to green shifting iridescent glitters and red to gold shifting sparks". 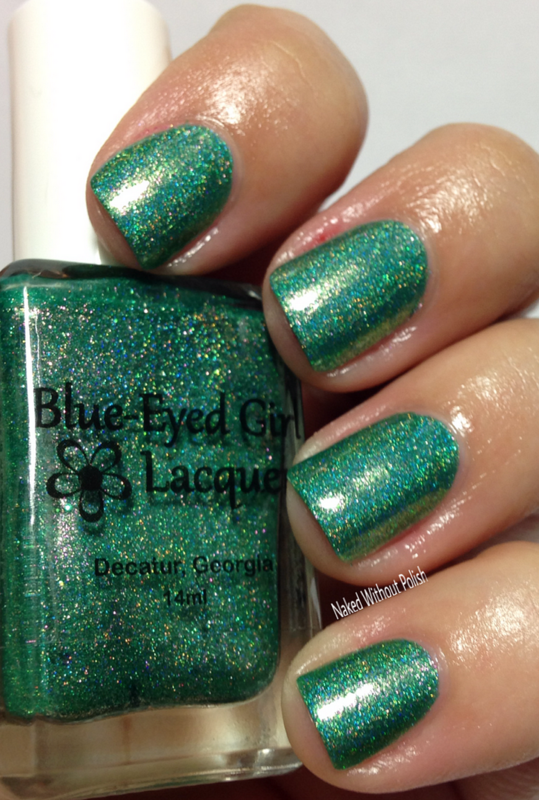 Shown is two coats of Mermaid Tails & Drunken Sails with top coat. Mermaid Tail & Drunken Sails is hands down my favorite of the three. I love them all, and I don't discriminate against any color, but I am drawn to greens like no ones business. This one is for sure a one coater. My brush was a little messed up so I had to do two coats, but GAH! this polish is amazing!! So, there you have it! 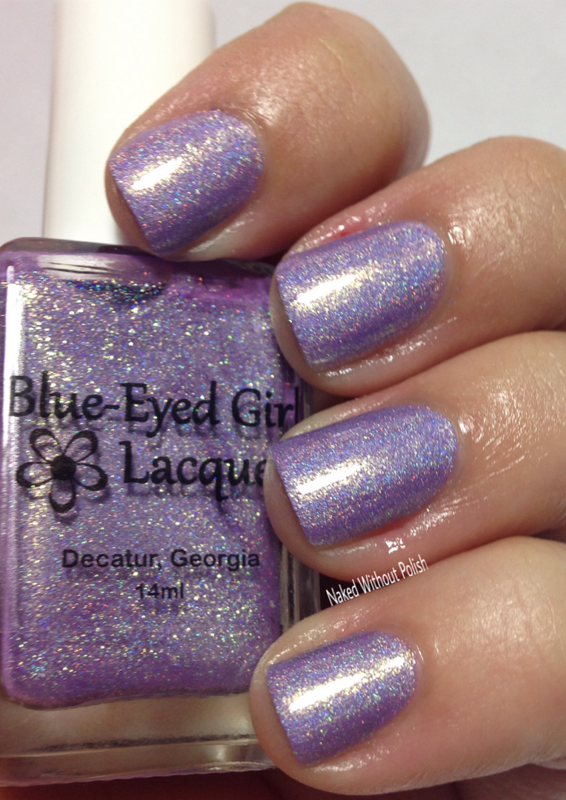 I'm sorry you missed out on these, but Blue-Eyed Girl Lacquer killed it with these! She always does a fantastic job on polishes, but there is always something really special about polishes made for the Hella Holo Customs Facebook group. 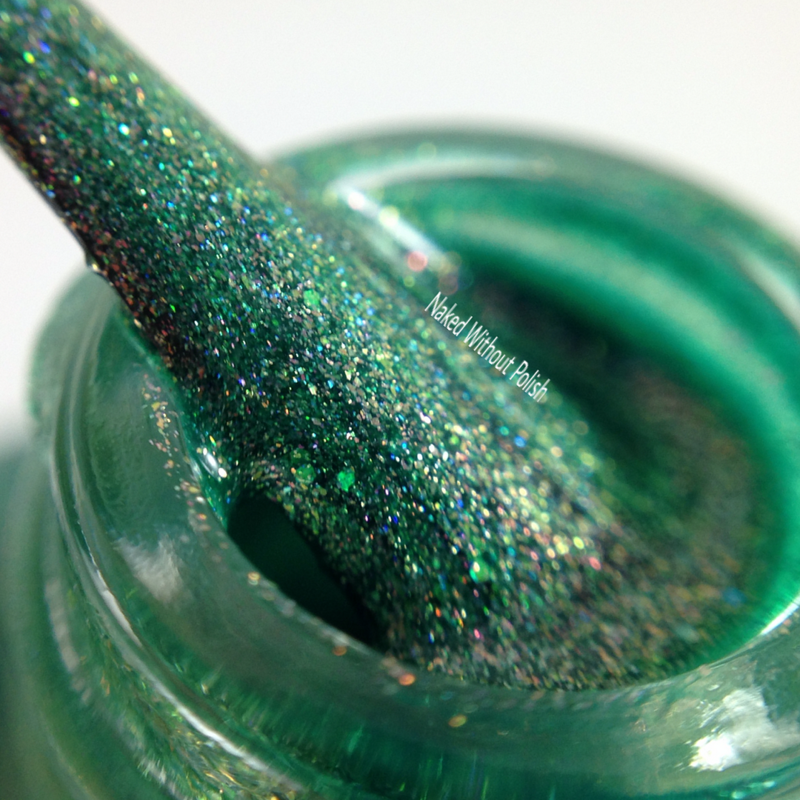 Every month they have 2 indie makers make special polishes just for the group. 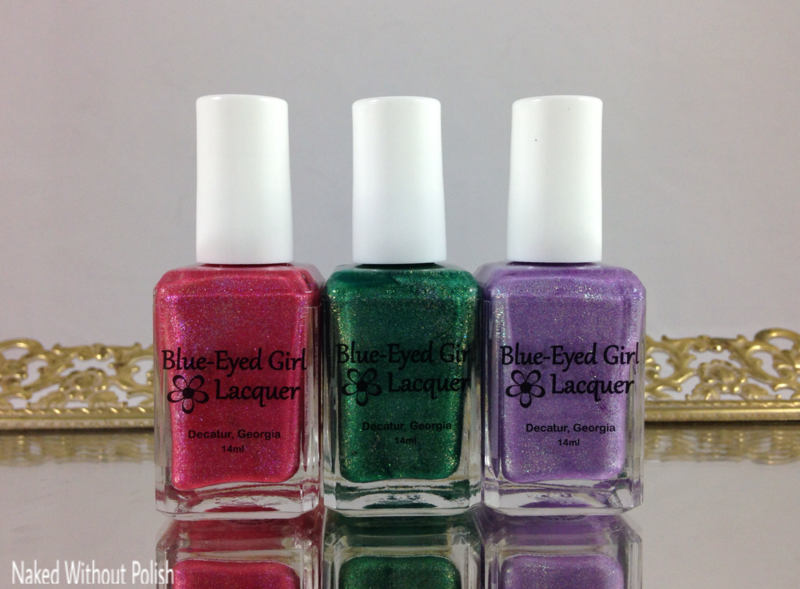 You have to be a member of the group to be able to buy any of the polishes. 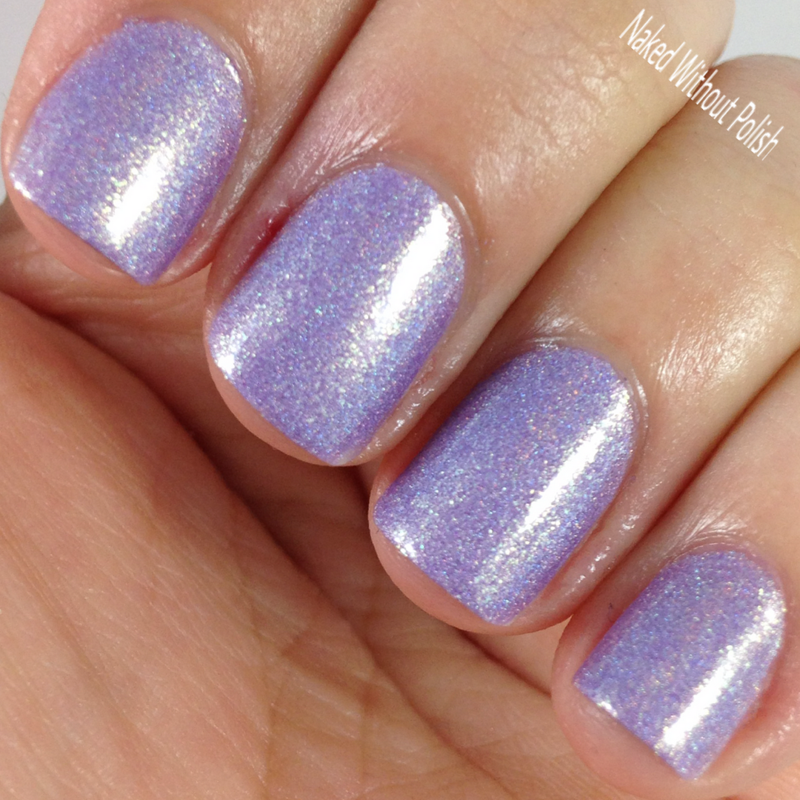 They are always beautifully make and so full of holo-y goodness that you just can't even. Here is how you join the Hella Holo Customs Facebook group. Send a private message to Dawn Borden or Aubrey Lacaillade, or email at hellaholocustomercare@gmail.com, and let them know that you would like to join Hella Holo Customs and give them the email that is attached to your Facebook profile. They will then guide you through the admittance process. Trust me, you'll want to join this group! 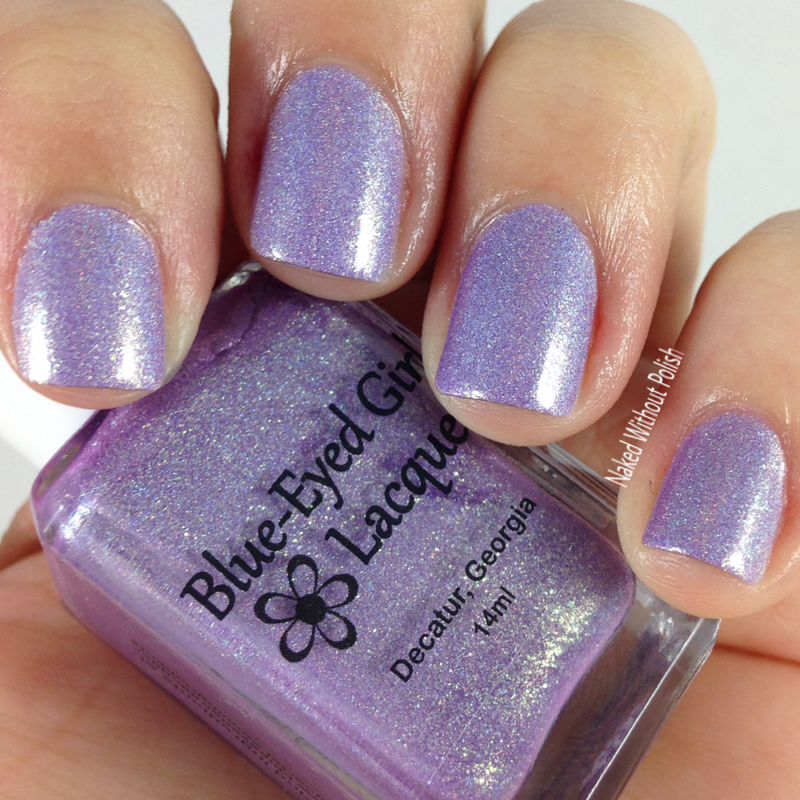 The girls are lovely, and there are some amazing polishes available every month. The next makers on the list are CrowsToes and Top Shelf Lacquer so make sure you start the process for joining the group ASAP! You don't want to miss out on any other beauties!